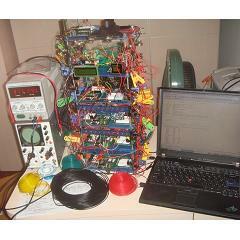 "My project is a randomized bouncing light Christmas tree used to decorate for the Christmas season. 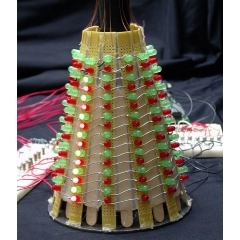 This LED Christmas tree utilizes a 12 by 16 LED matrix mounted on a metal frame." “Parallax’s Basic Stamp is the mainstay for hobbyists wanting to add intelligence to everyday devices. A new system called Arduino provides the benefits of the Basic Stamp at a greatly reduced cost, increased speed, and is entirely open-source.” A classic read for electronics hobbyists looking for the most functionality at the best price. The Basic Stamp is nothing much more than basic. Because of this, it offers a unique opportunity for anyone who wants to learn about embedded devices because it’s functionality is so simple. This article takes a look at how to get started with Parallax’s Stamp-1 module and what to expect from this little guy. This little spider (only 6 legs!) 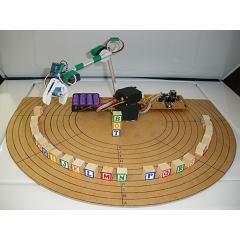 uses some sensors and a Stamp (or PIC) to navigate its way about the world. 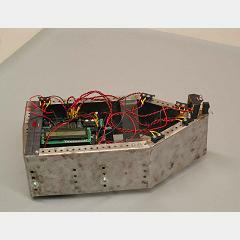 The article describes how it was built and the custom software that accompanies the project. Also, the article is in german so if you’re not a Deutscher/Österreicher/Schweizer be sure to google translate it. 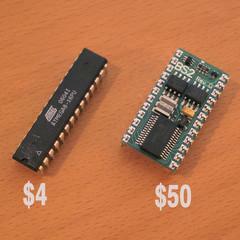 The Stamp is one of the best ways to get started in the world of microcontrollers. 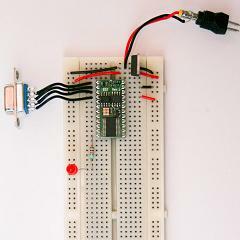 This tutorial shows you how to get started with a Stamp on a breadboard, the basic building block in hobby electronics. 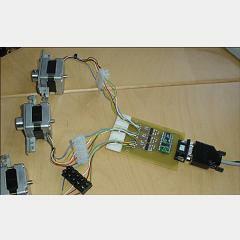 This article explains how to make your own Stamp based RS232 stepper motor driver. 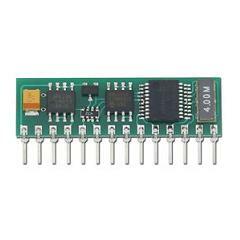 It is similar to my stepper motor controller, except RS232 communication is used to control speed and direction. The article has great documentation for how the driver works and what is needed to build it.